I’ve reached Swindon managers No.24 Dennis Wise and No.23 Dave Mackay. Perhaps, like me initially, you had thought Wise and Mackay might have been higher in this countdown. Instead they’re both in the bottom third of my list of the good, the bad and the ugly Swindon managers throughout the years. Yes Dennis Wise got caught in the boardroom power struggle when Bill Power withdrew his investment in September 2006 and then the knives were out when the finances started to untangle themselves. Yes Wise was far from delighted when director Bob Holt made public a private meeting whereby the former had “pledged his immediate future to Swindon” following the vacancy at Leeds. However, Wise was never going to turn down a chance to link up with grizzly old bear Ken Bates at Elland Road and walked out on his 3 year contract after only a few months. Wise’s league record of 31 points from 15 games remains the actual best points per game ratio of any manager (2.07 per game), however did you think that just because of this he’d be higher? As he lost in the League Cup and didn’t stay around long enough for the FA Cup he couldn’t pick up enough points to get out of the bottom 20. Good, Bad or Ugly? – Good at first, then an ugly departure – It’s just a shame he couldn’t stay around for long enough to finish off the job with promotion. 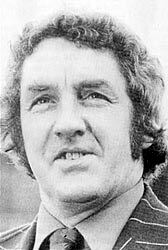 Of all our managers who’ve taken charge of games in the 2nd tier, legendary Hearts, Spurs and Derby player Dave Mackay comes 10th, just in front of Jimmy Quinn and Colin Todd. 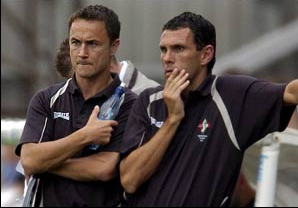 Mackay is somewhat similar to Wise and Todd insofar here was another manager who never held the Club at heart. 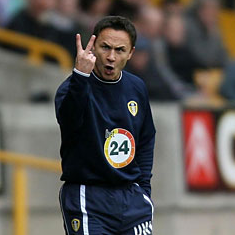 After resigning for “personal reasons”, Mackay turned up at Nottingham Forest a week later. He was never a popular appointment with the Town supporters and his exit merely confirmed it. Taking over from Fred Ford in November 1971, Mackay eventually took Town from relegation candidates in Division Two to a respectable 11th placed finish. As for the story of 1972/73, the selling of Don Rogers and Mackay’s departure, I’ve already covered this a few weeks back in Surviving the Drop 1972/73. Post Swindon Mackay left Forest to join Derby after the departure of Clough, bringing the League Championship to Derby County in 1975 and then a semi final defeat to Real Madrid in the 1976 European Cup. Mackay then took in 8 other positions from Walsall to Kuwait, Birmingham to Eygpt, Qatar to retirement in 1997. 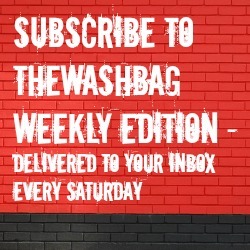 Click here for a full list of the managers in the countdown so far and their scores, including an explanation of how the scoring works.